My Smart Battery beeped 6 times – How can we help? If your Smart Battery beeps 6 times after a connection to the Roost Cloud fails, it may mean that you have an older version of firmware on your battery that can no longer connect to the Roost Cloud. If you recently purchased your battery directly from Roost, this is NOT the case. Please note, if you recently purchased your battery from an unauthorized reseller, such as a 3rd-party reseller on Amazon or eBay, please return your product to your seller for a refund. Roost is unable to offer warranty coverage on these products. 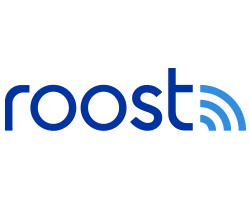 If you purchased from an authorized reseller please contact support@getroost.com. In your email, please include a copy of your receipt, the serial number of the battery and your mailing address. You can find the serial number on the inside of the removable Smart Module at the bottom of the battery (below the blue line that encircles the battery). It is a 6-digit alpha-numeric code. Are there any alarms that do not work with the Roost smart battery? How do I set temperature and humidity alerts for my Roost leak detector?